By his own admission Anthony Joshua’s wide points win over Joseph Parker came after a “boring” fight, an overly technical fight. Certainly, Joshua will not find too many people disagreeing with him, as the March unification bout was very likely the most unexciting fight of the WBA/WBO/IBF champion’s pro career. Now heading into his WBA mandatory defence against Russia’s Alexander Povetkin, AJ says he has a very real need to go out there and deliver a KO win in exciting fashion. Speaking on his Road To Undisputed video, Joshua says he needs to bring back his “killer instinct” and that he will do so in the September 22 fight with former WBA champ Povetkin. But if he does fight a more aggressive fight against Povetkin will Joshua put himself at risk? Povetkin is pretty quick himself, and as Shannon Briggs pointed out recently, the Russian is very good at leaping in and good at hitting off the break. If Joshua over-commits himself in this fight he may be made to pay more of a price than he would have against Parker. If he can get on the inside against Joshua, Povetkin might have a good chance of scoring the upset. In terms of fan satisfaction, it will be good to see Joshua go in there with his big bombs blazing, but Joshua must be cautious as well. Povetkin is powerful and he is a cagey veteran who has picked up plenty of tricks over the course of his long career. 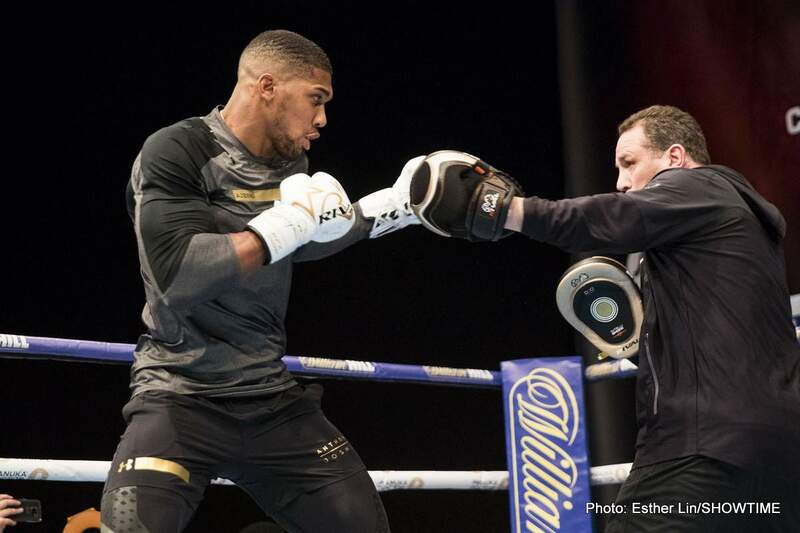 If he does get into a slugfest with Povetkin, does Joshua come out on top?